The Big Data Europe project and the Agricultural Information Management Standards (AIMS) Community are pleased to announce a new webinar entitled “Big Data challenges and solutions in agricultural and environmental research”. The session will take place on the 17th of December 2015 – 11:00 CET and will be presented by Rob Lokers, project manager of ICT projects and research infrastructures at Alterra, Wageningen UR. This webinar will provide an overview of the role of Big Data in agro-environmental research. Agricultural and environmental researchers traditionally work with large data sets and have through time developed their ways to handle scenarios involving massive data. Current developments in ICT and (big) data science potentially provide innovative and more effective ways to do this. However there are numerous barriers and pitfalls, sometimes unknown to ICT professionals that cause initiatives to be less successful than possible. The presentation provides an overview of the current state-of-play regarding the position of Big Data in agro-environmental research, experiences from several projects and a (non-exhaustive) summary of do’s and don’ts and challenges for successfully applying Big Data technologies in this domain. The session is open to anyone but places are limited. If you are interested to attend the webinar, send an e-mail to AIMS@fao.org, containing the following information: your name, affiliation, email and country. Once registered, you will receive the link to the webinar. We already published a short summary of the first BDE workshop on “Big Data for Food, Agriculture and Forestry”. Now the full report is available here: BDE-SC2-1st-workshop-Finalreport. Overall, what came out of the discussions was that the special thing about big data in agriculture is its extreme variety. This is what you get, if you contrast the four V’s of big data to the data types and sources that are typically used in agricultural and food research. In most cases we are not talking about an extremely large Volume (other domains have much more voluminous data); it is not that data come with an extremely high Velocity, especially compared to other domains. In many cases, their Veracity is quite high. But in food and agriculture, data Variety matters the most: you need to combine multiple, heterogeneous data types and formats from several sources, trying to solve the information problems and support decision making of the relevant stakeholders. However, real cases where volume and velocity were high were reported. The discussion indicated that it will be important for the BDE project to more precisely understand the order of magnitude of the data types discussed in this workshop (e.g. streaming data over decades, genomic data…) and the actual need for big data technologies. The AIMS team in cooperation with the BigDataEurope Consortium is pleased to announce the webinar “INRA’s Big Data Perspectives and Implementation Challenge”. It will present perspectives and implementation challenges of big data for agronomic research organisations. It is open for information management specialists, librarians, software developers and other interested people. The “INRA’s Big Data Perspectives and Implementation Challenges” webinar will give a perspective on big data and implementation challenges for agronomic research organisations such as the French National Institute for Agricultural Research (INRA). The presenter will focus on the characteristics of big data in agriculture using a specific case study on high throughput plant phenotyping where a lot of heterogeneous data need to be generated and managed. This use case shows how to deal with variety of data. Pascal Neveu is director of Mistea Laboratory at Montpellier SupAgro-INRA. He is the head of Cati CODEX, center dedicated to data and knowledge management. He was the leader of the workpackage « Data management and knowledge representation » for CAFE European Project. He teaches at the Montpellier University and the School of Agricultural Engineering topics related to computer science for statistical and numerical computing (R, Scilab, etc) and computer sciences, database design, XML technologies and Information management. As we announced in this group, the Food and Agriculture Societal Challenge BDE Workshop will follow the pre-meeting of the Research Data Alliance (RDA) Interest Group on Agricultural Data (IGAD), which will take place on September 21st-22nd in Paris. We are now pleased to share with all of you the Agricultural Data Interest Group (IGAD) Pre-Meeting Agenda. leveraging and using the RDA platform to function, report and plan outreach of the results. As part of the next meeting of the Research Data Alliance (RDA) Interest Group on Agricultural Data (IGAD) that will take place between September 21st-22nd in Paris, the BigDataEurope (http://www.big-data-europe.eu) action is organising a session dedicated to big data in agriculture, forestry and food. The IGAD meeting will take place at the head office of the Institut National de la Recherche Agronomique (INRA), as a co-located event of the Research Data Alliance (RDA) 6th Plenary. The big data session of the IGAD meeting is expected to investigate the characteristics of data sources & repositories that our community has, in order to identify cases that offer a high degree of variety, velocity and volume – and therefore good candidates for the application of big data technologies. In addition, an introduction to such technologies is going to be given and a discussion on their relevance and applicability for the wider range of topics related to food security, sustainable agriculture and forestry. As a recognised stakeholder in the food and agriculture sector, we believe that you would be interested to join this session, share experiences and ideas on how big data applies for our sector, report on your relevant projects and activities, and ultimately find out ways in which the BigDataEurope action can support you. Event Registration: send an e-mail expressing your interest to attend to the IGAD meeting organiser Imma Subirats (FAO of the UN, Imma.Subirats@fao.org), cc-ing Nikos (nikosm@agroknow.gr). 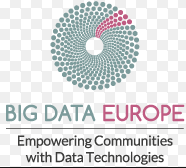 Follow the event also on the BigData Europe website. For everybody interested in Hackathons & Linked Data & Agriculture and Food Safety there is on the 18.09 during the SEMANTiCS Confference in Vienna a Hackathon. At the beginning of the workshop the available datasets and APIs will be presented, followed by a brainstorming session aiming to connect these datasets & APIs with the challenges given to them so as to come up with ideas for hacks! The rest of the day will be devoted to work on the data and the challenges. At the end the teams will come together and present and discuss their results in an open and relaxed environment that will provide the opportunity for everyone to learn from what has been achieved that day. The framework used in the workshop will be the SemaGrow stack (see here http://143.233.226.42:8080/SemaGrow for an online-version) that is developed in the SemaGrow project as an answer to the integration needs (big) agricultural data in practise. The SemaGrow stack is a distributed infrastructure layer on top of existing data repositories and networks that supports the interoperable and transparent application of data-intensive techniques over heterogeneous data sources. More information on the SEMANTiCS website. This is a community initiative. This group was originally proposed on 2015-04-22 by Phil Archer. The following people supported its creation: Phil Archer, Martin Kaltenböck, Valeria Pesce, Timea Turdean, Simon Scerri. W3C’s hosting of this group does not imply endorsement of the activities.